NOVA University Lisbon wins two research fellowships in palaeontology from the contest launched by Dino Park. 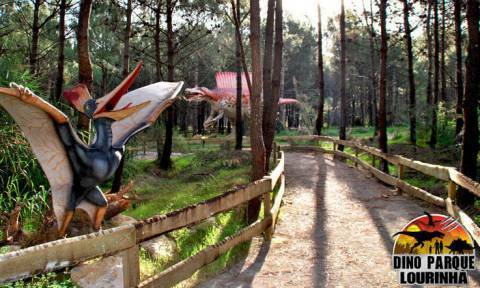 The three winning scientific projects will be funded through profits obtained from the sale of collection cards in different supermarkets across the country, explained the scientific director of the Lourinhã Dinosaurs Park, Simão Mateus, to Lusa agency. The sale of the cards reached 74,289 euros, amount that allowed to fund the winning projects with research grants launched by Dino Parque. The NOVA University Lisbon and the Museum of Lourinhã have 29,734 euros to apply in a study on micro vertebrates that lived in Portuguese territory during the Upper Jurassic 150 million years ago. Led by palaeontologists Octavio Mateus and Miguel Moreno-Azanza, this work will count with the help of volunteers in an effort to involve citizens in science, make new discoveries and know the fauna that lived with dinosaurs. The second project funded with 29,915 euros is again from the NOVA University Lisbon and the Museum of Lourinhã. This investment will serve to study the carnivorous dinosaur 'baryonix', first discovered in England and years later in Portugal, with traces found in Cape Espichel. The remaining 14,640 euros were delivered to the National Laboratory of Engineering and Geology (LNEG) and are intended to fund research related to the herbivorous dinosaur 'Miragaia Longicollum', a dinosaur with one of the most complete skeletons in the country.